Lowdown: An unlikely, unfamiliar, Lego character has to step up to save Lego World. On paper, The Lego Movie has the potential to be the perfect children's movie. Well, at least by my Lego crazy child's account, on account of it mixing many if not most of the things he cherishes the most. That said, we've all been to "that movie" before: a movie that promises to be the next best thing but turns out to be a disappointment. In other words, The Lego Movie has a lot of expectations to satisfy, and the question is - can it rise up to the challenge? Want the short answer? Yes. Now for the slightly longer answer. The Lego Movie follows the evil plot of Lord Business (Will Ferrell), who plots to apply his doomsday weapon to the Lego world. Who can step up to this force, yielding the full might of the corporate world behind him? There's a weirdo Lego wizard and there is a very cool looking Lego girl called Wildstyle, but can they and their Lego mates save their Lego world? That's where a prophecy steps in, claiming that an ordinary Lego character will save the day. Or can it? It turns out this character is Emmet, a very ordinary Lego character of lower than average achievements. Emmet cannot even fit in with his construction worker mates, with whom he spends most of his days. Days that start to the tune of a catchy song, "Everything Is Awesome", move on to gulping overpriced coffee, continue through work, and unwind through reality TV and a visit to the pub. But our Emmet does not, really, fit this mould; can he fit into the role of a world saviour instead? As per the norm for children's movies today, The Lego Movie is a computer animation movie; it does, however, strive for a stop motion look and feel (and it does so well). As per the norm, it is full of jokes aiming at the adults accompanying the children to the cinema: from Star Wars to Terminator jokes, you'll find them all here. As per norms, it is full of cameos and famous characters stepping in and out (Batman, anybody?). These work well, but they are not enough to make a movie great. What really make The Lego Movie great is its message and the way this message is conveyed. Essentially, in order to save the world our heroes have to abandon the instruction manual, apply their imagination, break free of the mould, step out of the box - you get it. They need to think for themselves, as opposed to being fooled into believing that overpaying for coffee is both normal and awesome. The imaginative nature of the way this message is conveyed is what makes The Lego Movie great and what is obviously making this one a big time box office hit with the kids. The irony of it is with Lego, the company. It fails to follow its own advice, releasing the movie tie in Lego kits in a very restrictive form. Instead of general kits to run wild with one's imagination, Lego is selling us very specific kits of very specific movie sets. At the price tags are obviously designed by the evil Lord Business, too; even the movie's Lego characters sell for $5 each. Sure reminds me of the movie's overpriced coffee. 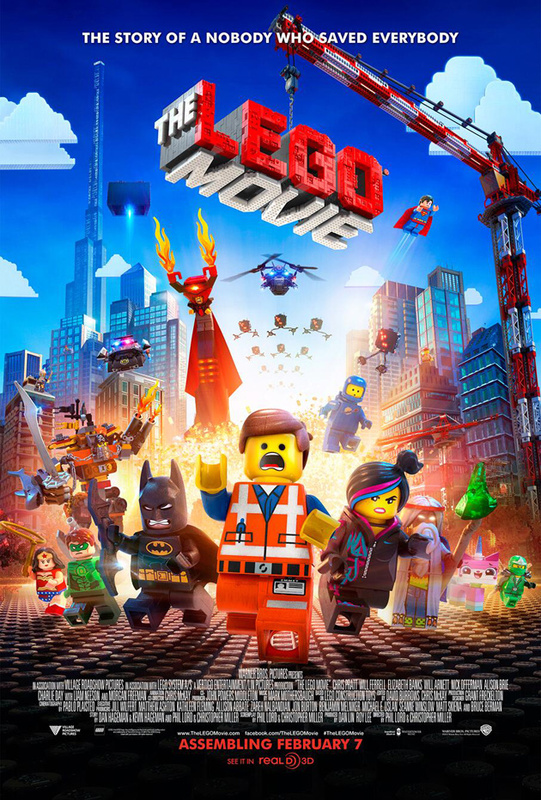 Overall: Criticism of Lego aside, The Lego Movie is an excellent kids' movie. I liked it 3.5 out of 5 crabs much; as far as my son is concerned, this is probably the closest movie ever to his current movie ideal.